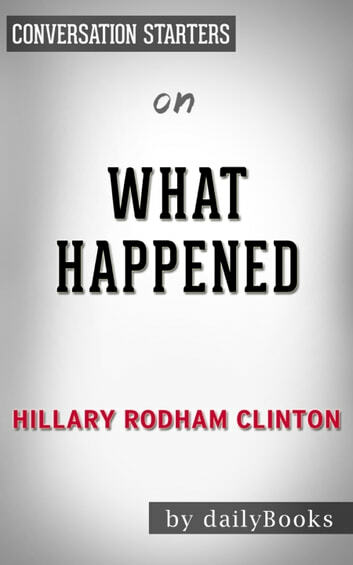 What Happened is a new memoir from presidential candidate Hillary Clinton. 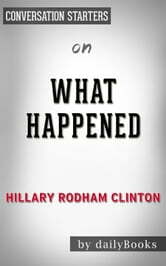 In What Happened, Hillary Clinton finally shares with the public her thoughts and emotions during a controversial presidential election that ended in her defeat by Donald Trump. Clinton shares the details of her campaign and how it felt to be the first woman to be elected as a candidate for a major party in the United States. She also shares how it felt to run against Donald Trump. She shares her thoughts on why she believes she lost the election, as well. Clinton hopes that these details will help Americans understand so that they can protect the future of democracy in America. What Happened is an eye-opening and intimate description of the 2016 election and its aftermath. What Happened became a bestseller on Amazon in 2017. The New York Times called What Happened a “candid and blackly funny” narrative of the aftermath of the 2016 election. It is “raw,” invigorating, and an explanation of the current state of politics according to The Washington Post. Finally, NPR writes in their review that What Happened is “engaging.” They call Clinton charming and funny and say that her story will be important to history, even though some may disagree with her reasoning as to why she lost.